Thinking about riding elephants in Thailand? There are more ethical alternatives - read this first! 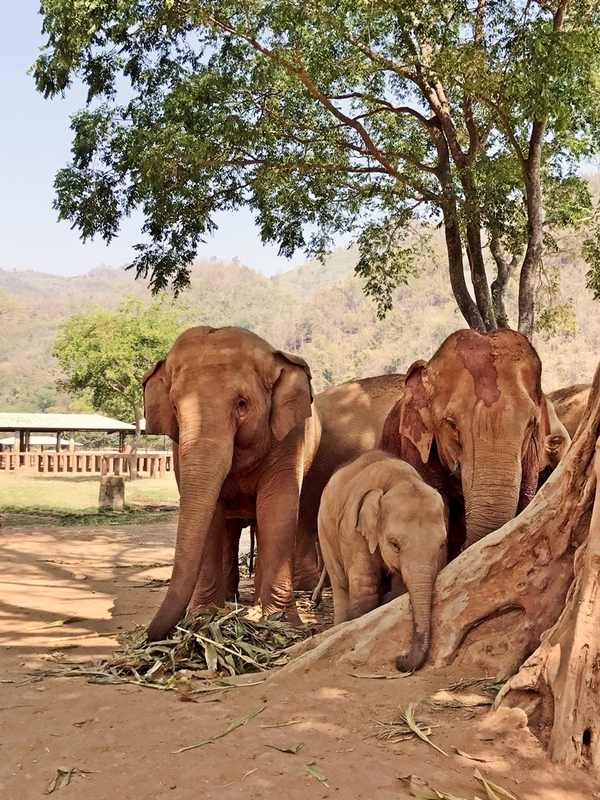 Chiang Mai in northern Thailand is home to dozens of elephant camps, sanctuaries and orphanages. But the dirty little secret is that few of these establishments put the welfare of elephants first; instead, too many of these places offer elephant shows and riding. Here’s why you should not support and visit these elephant camps: because all elephants who partake in street begging, riding, shows and logging go through an extremely cruel breaking process called the “Phajaan”, where the elephant is tortured and “trained” using fear of pain to force them to accept riders on their backs, perform tricks, “paint” pictures and so on. Read more: World Animal Protection published a report on the conditions for elephants used in tourism in Asia. Click here for the PDF report. Many statistics referenced in this post have been sourced from the “Taken for a Ride” Research Report by WAP. The wild elephant population in Thailand is on the decline as a result of destruction of natural habitat, poaching and human-elephant conflict, with more elephants in captivity than wandering free (approximately 4,400 vs. somewhere between 2,000-3,200*). Those who are free run the risk of being killed and separated from their young, who are then subjected to the phajaan, or being enslaved themselves into the tourism or logging industries. These numbers speak for themselves. The situation is fairly bleak and riding elephants in Thailand remains a popular activity for tourists. The good news is, with an increase in education and awareness there is some shift towards a rise in no-riding and ethical facilities. 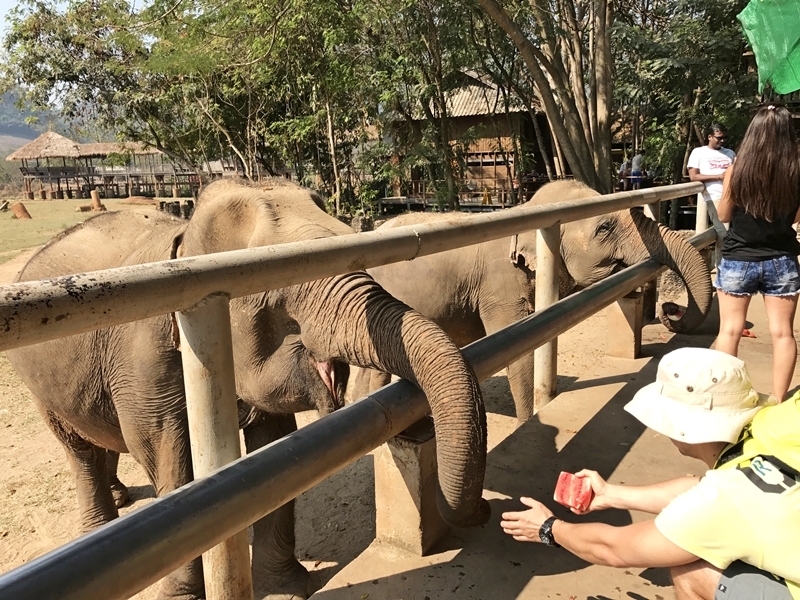 Elephant Nature Park, along with several others, are leading the charge towards more ethical interaction experiences with these gentle pachyderms. * WWF-Thailand, Thai Elephant Conservation Center (government entity), Center of Excellence in Elephant and Wildlife Research at Chiang Mai University. Interested in reading more about responsible tourism in Southeast Asia? Click here for 10 things you should know before you visit Southeast Asia! What is Elephant Nature Park? 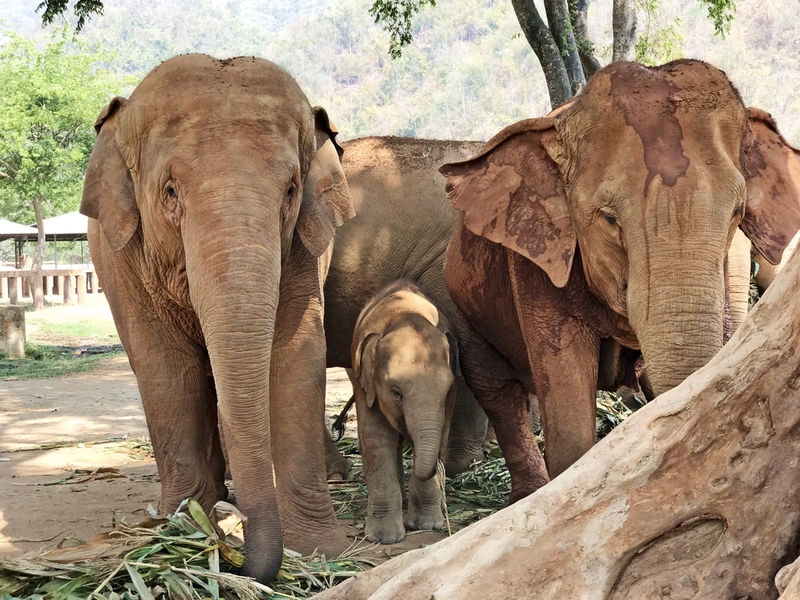 Elephant Nature Park is an ethical elephant sanctury in Chiang Mai and is home to approximately 40 rescued elephants. 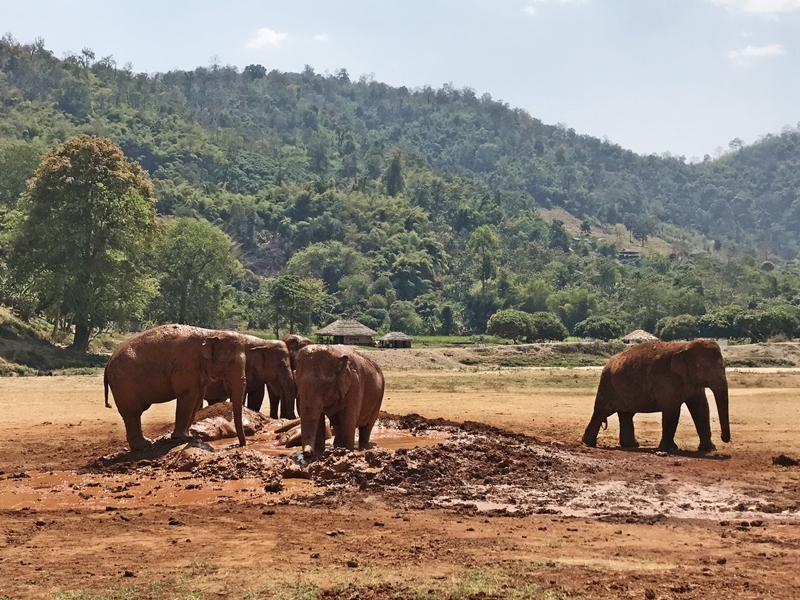 It is located an hour or so outside of Chiang Mai and is just one of several projects operated by the Save Elephant Foundation (more information about their projects can be found here). The park was established in the 1990s with the aim of serving as a sanctuary and rescue centre for elephants. 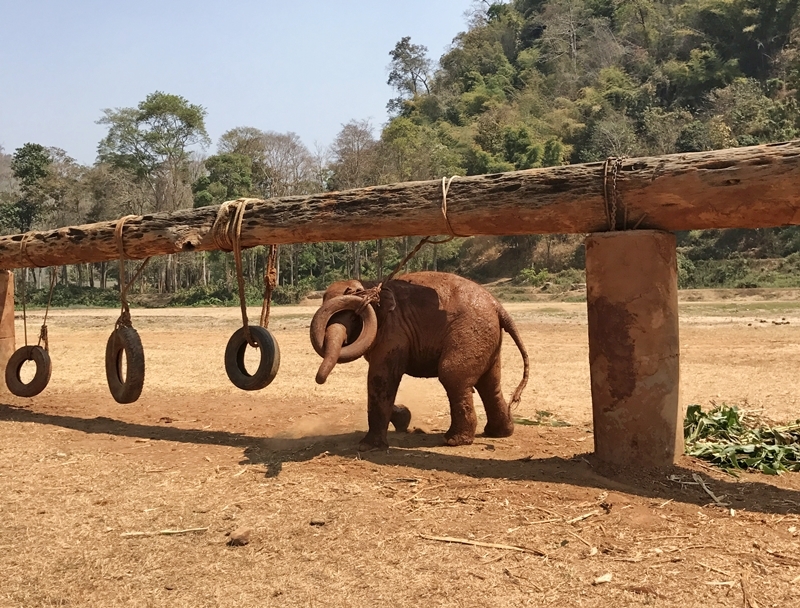 The elephants at Elephant Nature Park have been rescued from riding and trekking camps, circus shows, forced breeding programs, the logging industry or from street begging. As you can imagine, many arrive in poor physical and psychological condition as a result of the horrific abuse. Elephant Nature Park offers pick-up services within the Old Town area of Chiang Mai. From there, it is an hour-long drive to their facility. I can highly recommend See You Soon Chiang Mai, a boutique hotel located above a fantastic cafe and right next to Wat Chedi Luang temple. Click here to check current room rates at See You Soon Chiang Mai! Alternatively, I can also recommend BED Chiang Mai Gate Hotel just outside the Old Town. This boutique property is an adults only hotel in Chiang Mai and offers clean and spacious rooms. If you’re looking for a hotel with a pool in Chiang Mai, head to BED Chiang Mai Gate Hotel. Click here to check current room rates at BED Chiang Mai Gate Hotel! Wondering what else you should do in Chiang Mai? 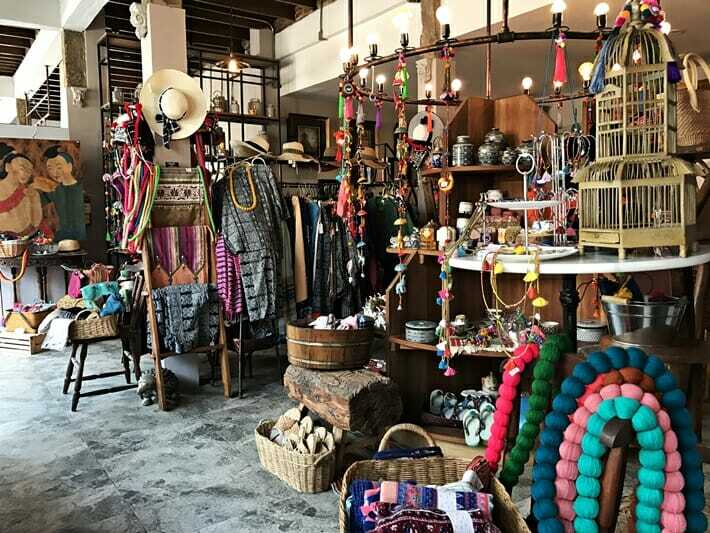 Click here for my article on 10 things to do in Chiang Mai that don’t involve riding elephants or petting tigers! 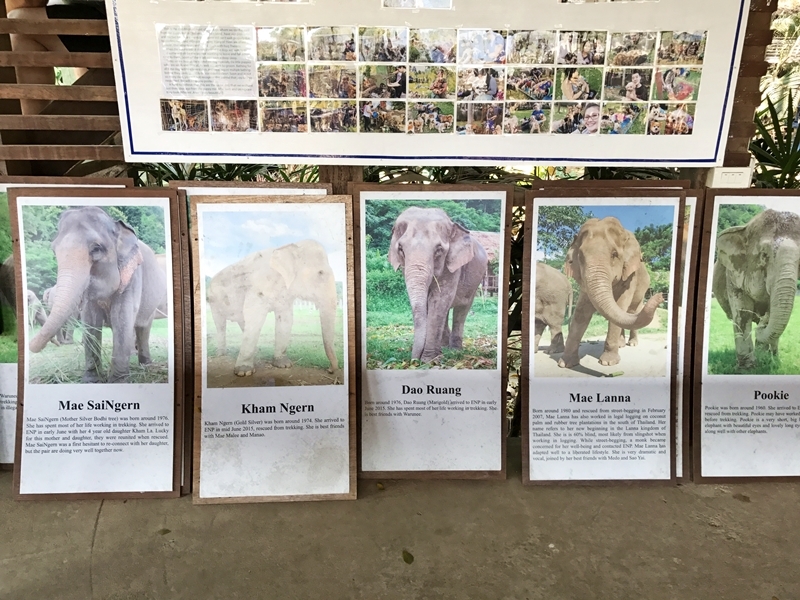 Why visit Elephant Nature Park? Elephants are incredible creatures, and the opportunity to interact with them and observe them is outrageously cool. While I do believe that there is no better place for elephants than in their natural habitat, the reality is that it is no longer possible for these particular elephants in Thailand for a number of reasons. Additionally, elephants, though big, are actually not great at bearing weight and have sharp protrusions from their spine which make it painful for them to carry load (like people) on their backs. 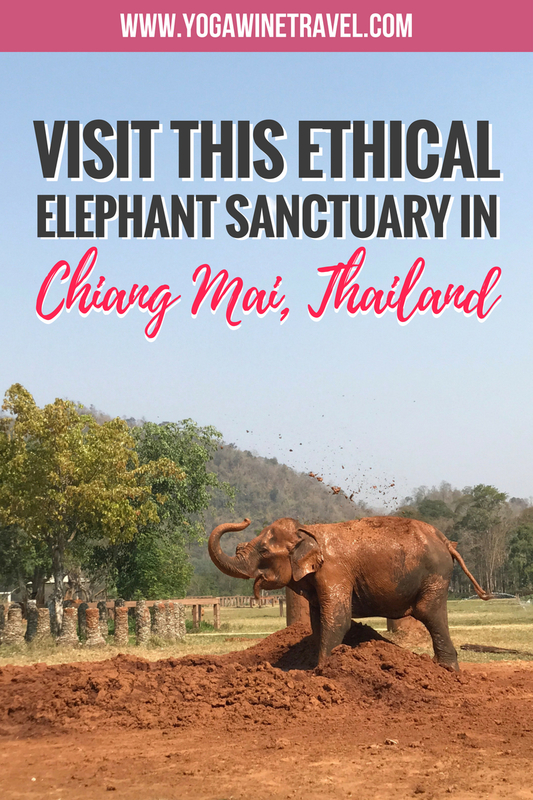 So if you are looking into taking part in an ethical elephant interaction experience in Thailand, I would recommend visiting and supporting a facility such as this one over a trekking camp or show. 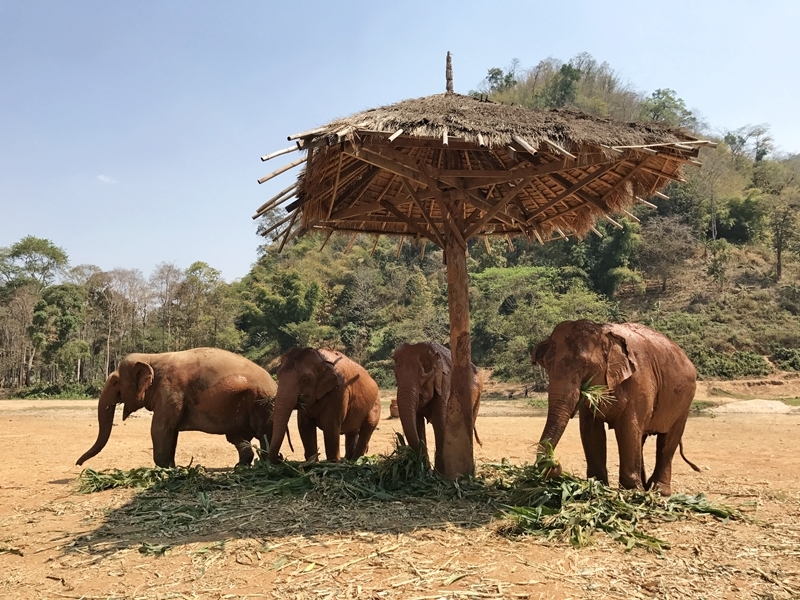 Elephant Nature Park also works with and educates elephant owners and other camps to help them transition into no-riding and ethical facilities, and at ENP the elephants freely roam the premises and are supervised by their mahouts. Rather than using bullhooks, the mahouts use verbal commands (front, back, stop). At times, male elephants are kept in separate enclosures during what is known as “musth”, when they can become aggressive due to elevated testosterone levels, but it is my understanding that the park hopes to increase the size of the park to allow for more free roaming for male elephants. Additionally, the park does not breed their elephants into captivity, though when I visited there was a baby elephant who was a product of some sneaky antics by elephants between fences and separate enclosures – they have since added another layer of fencing! 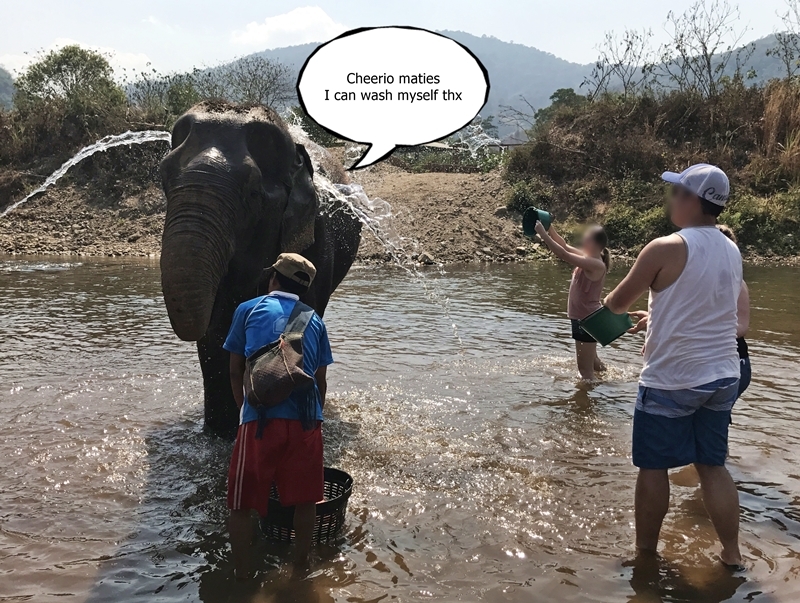 When I visited in 2017, visitors were allowed to throw buckets of water onto the elephants as they bathed in the river. 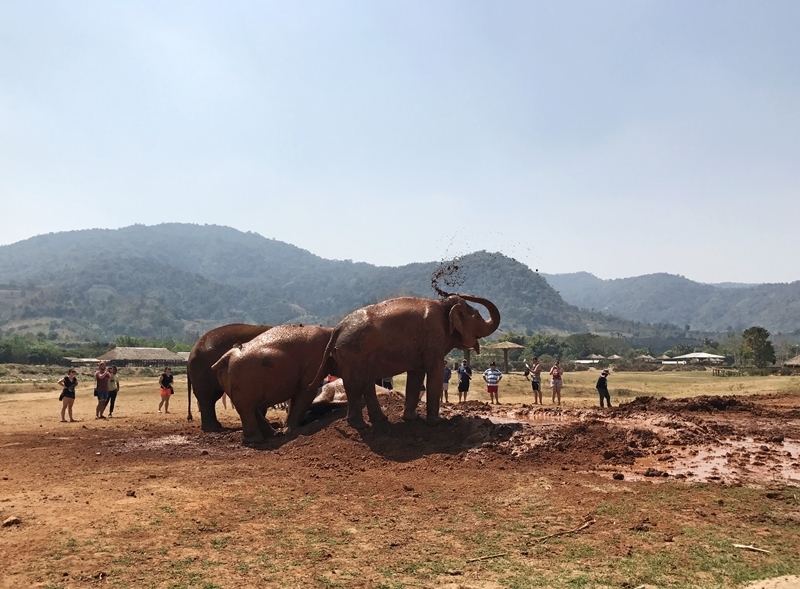 I recall throwing one or two buckets and then giving up and purely watching them bathe – it’s not like they needed my help, and this activity seemed like it was more for the visitors than for the elephants. This is obviously not lost on the experts at Elephant Nature Park, as they no longer offer elephant bathing. From ENP’s website:”From 16 April 2018 the elephants will bathe themselves with no visitor interaction. This is part of the next phase of Elephant Nature Park to offer elephants a chance to live as natural a life as possible. Elephant Nature Park offers and easy online booking system that shows you which dates are available. 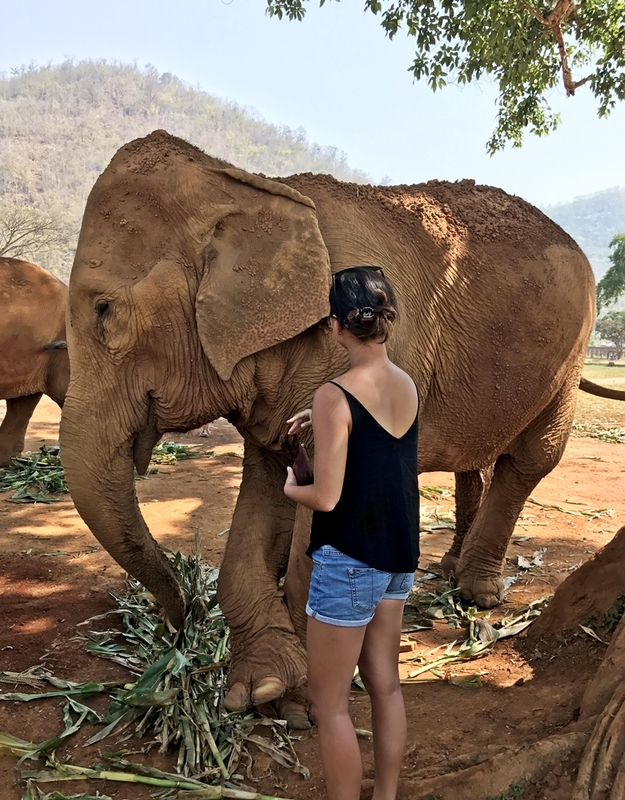 There are a number of options, from the short visit lasting 6-7 hours to the overnight visit where you can volunteer with elephants. Because I was only in Chiang Mai for a few days, I went with the “Short Visit” which got me back into Chiang Mai Old Town by around 4 PM. The experience set me back 2,500 THB (approx. 80 USD) and included transportation to/from the park. You can check out all of the different visit & volunteering options here. 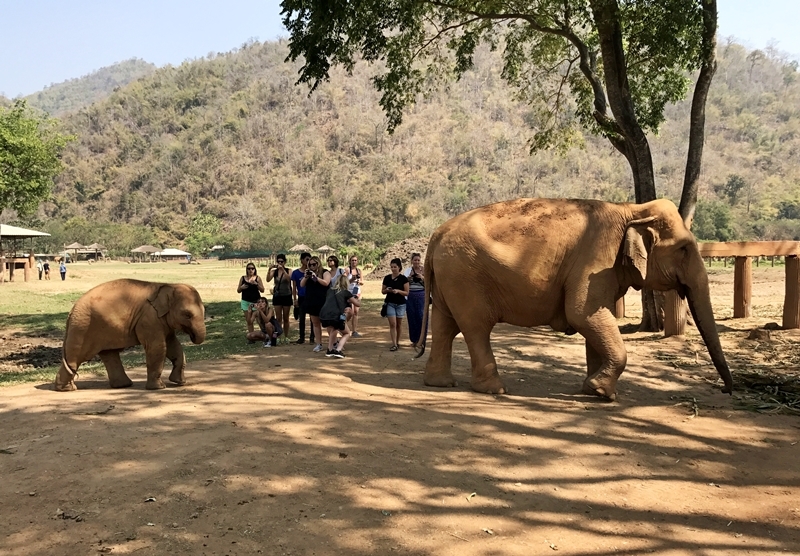 Elephant Nature Park is one of the more popular elephant sanctuaries in Chiang Mai, so you’ll want to book your visit in advance, especially during Chiang Mai’s peak season from about October to March. 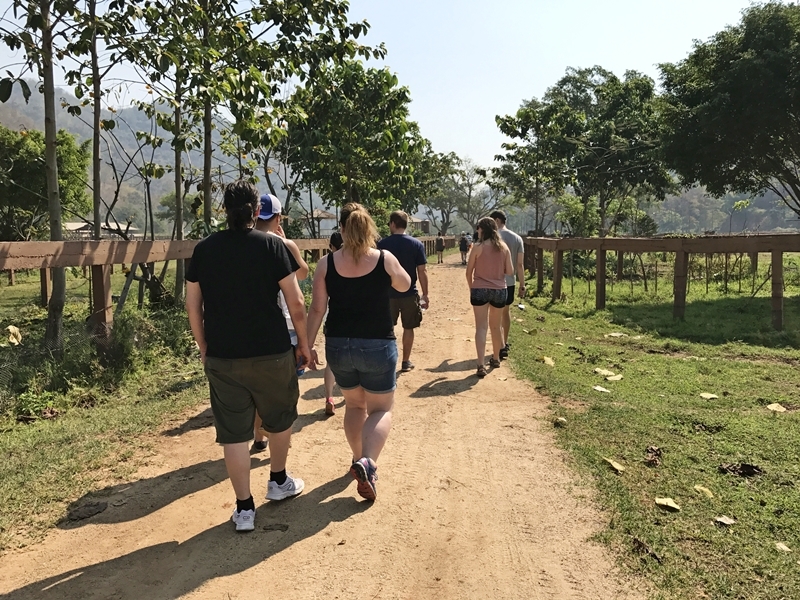 During your day at Elephant Nature Park, you are picked up at 7 or 8 AM in the morning in an A/C van with fellow ENP guests and driven to the park. From there, visitors are separated into groups of approximately 8-10 people (I was the only solo traveler in my group and ended up being the 9th wheel to 4 couples, if anyone was wondering) and looked after by a dedicated park guide. You can given clear instructions on what not to do around the elephants, including but not limited to standing where they can’t see you, taking photos using flash and “teasing” them with food. 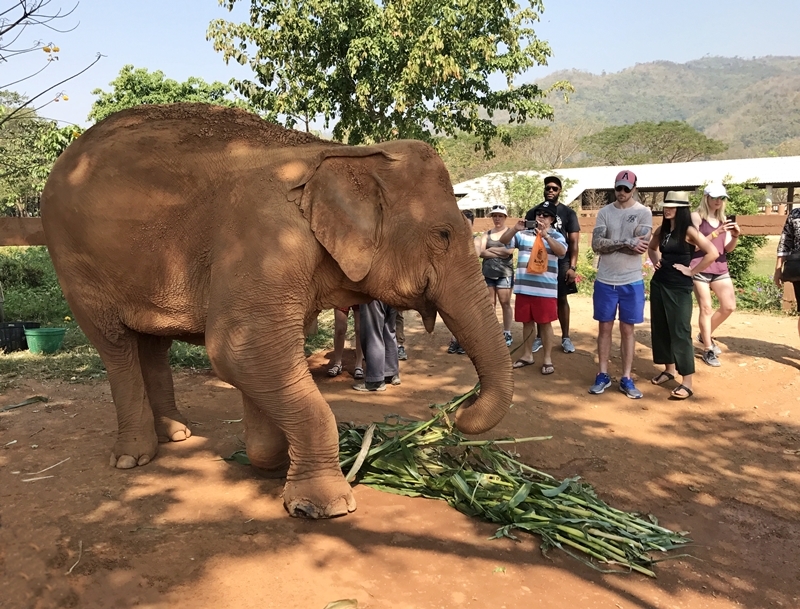 From here, groups take turns feeding watermelon to elephants and are escorted over to meet some of the residents of Elephant Nature Park. The park itself isn’t massive, but make sure you bring comfortable walking shoes and a hat/sunscreen as you can expect to be in the sun a fair bit. Our guide educated us on elephant anatomy and psychology, likes and dislikes, herd dynamics, personal stories and so on. We were led through the different areas of the park and given the opportunity to observe the herds, watch them eat, play, have the time of their lives in a mud bath, and also take a quick break for a delicious lunch buffet. It’s also possible to wander over to the dog sanctuary (also run by ENP). Though there is somewhat of a schedule to the visits at Elephant Nature Park, the best way to make the most of your visit is to relax and observe the elephants. 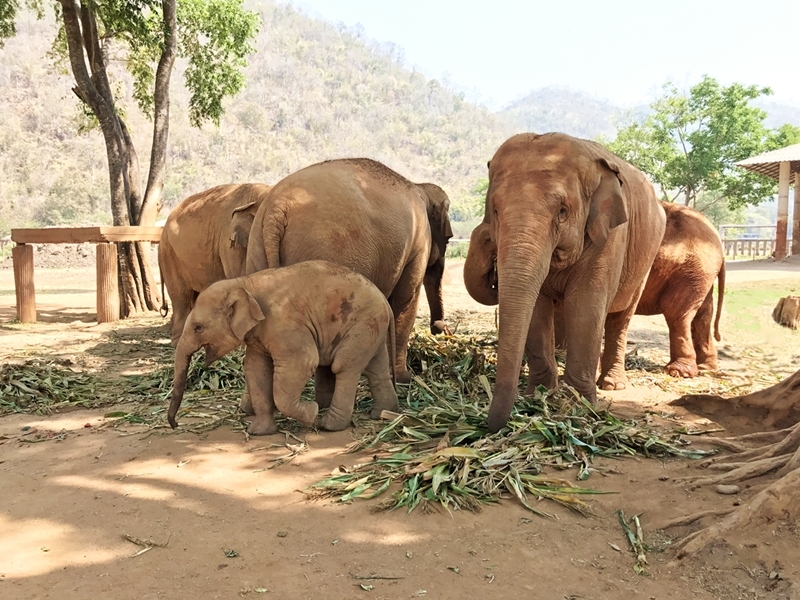 There are only 30,000 or so Asian elephants left in the world, and visiting Elephant Nature Park is one way to interact ethically with elephants without contributing to animal cruelty and abuse. Unless your heart is made of stone, you will leave Elephant Nature Park in awe of these gentle giants and their resilience, and grateful for the opportunity to observe them. That being said, I do feel it’s important to set your expectations before you go to Elephant Nature Park. I have heard from several people that they were disappointed after their time at the park, and felt that they were “herded” through the park, or that there wasn’t much actual physical contact time with the elephants. It’s important to bear in mind that this is not a zoo, nor is it a safari. In fact, when I was there, a herd reacted badly to something happening in the neighboring camp and before you knew it, a full on elephant stampede happened! All the mahouts could do was run alongside them to try to make sure the elephants (and bystanders) were safe. If you understand that observation is the best form of interaction, you will thoroughly enjoy your time at Elephant Nature Park. It’s also important to note that Elephant Nature Park is not the only no-riding ethical elephant sanctuary in Chiang Mai. The research report by World Animal Protection lists a number of venues that were assessed during the study that offer the best welfare conditions, as well as a number of places that were identified during the study (page 50), but couldn’t be visited or only opened after the field research was already completed. Which ever park you decide to go with, I encourage you to ask around, read reviews and do your due diligence on their treatment towards the animals. Doi Inthanon National Park is another fantastic Chiang Mai day trip destination. Click here for my guide to visiting the waterfalls and hiking trails of Doi Inthanon! 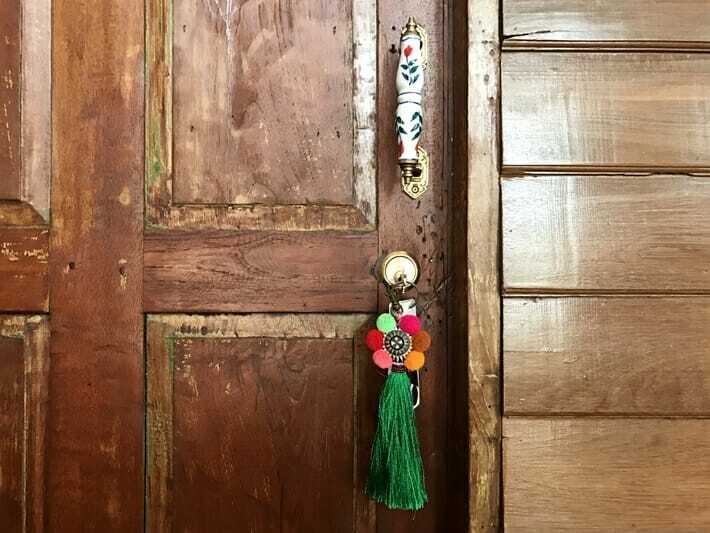 If you only have a few days, then the best place to stay in Chiang Mai is within Old Town. If you are a longtime reader of Yoga, Wine & Travel then you’ll know that I am a sucker for beautiful, boutique hotels. See You Soon Hotel and Cafe in the heart of Old Town is an amazing hotel with a handful of spacious and newly renovated rooms and stunning & tasteful decor. 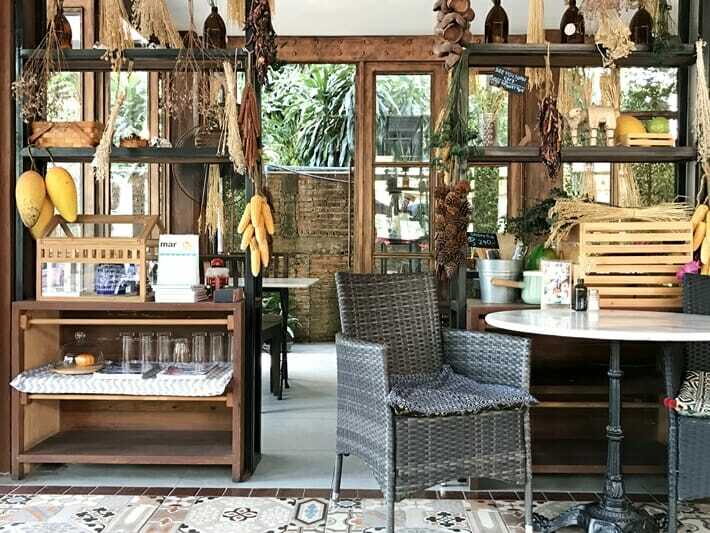 The rooms sit atop a wonderful cafe (try the mango and sticky rice) with tasty food and drinks, and the wifi connection is very stable and fast throughout the property. It is also located right next to the Sunday market so you can roll back to your room after stuffing your face full of street food. Click here to check current rates at See You Soon Chiang Mai. If you are looking for a hotel with a pool in Chiang Mai, then you’ll want to check out BED Hotel Chiang Mai Gate. This boutique property is an adults only hotel in Chiang Mai and offers clean and spacious rooms. 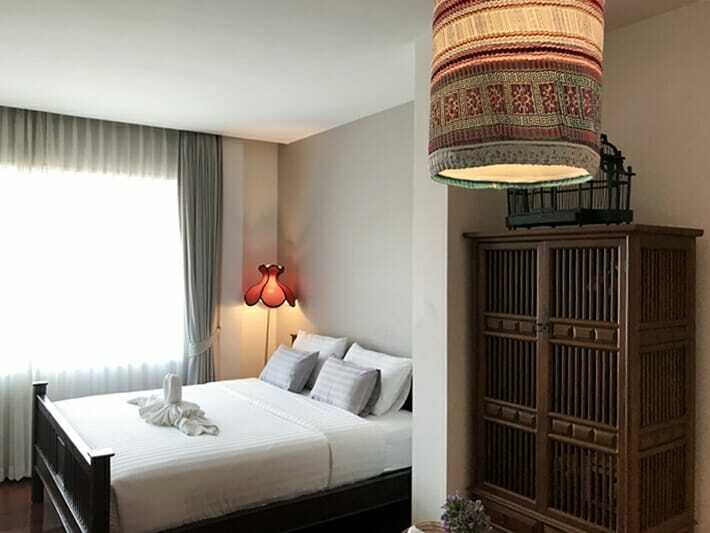 Click here to check current room rates at BED Chiang Mai Gate Hotel or click here to find some other highly rated accommodation options in Chiang Mai’s Old Town! Have you visited Elephant Nature Park or can you recommend some other ethical elephant sanctuaries in Chiang Mai? Let me know in the comments section below! Interested in reading more about ethical elephant experiences around the world? 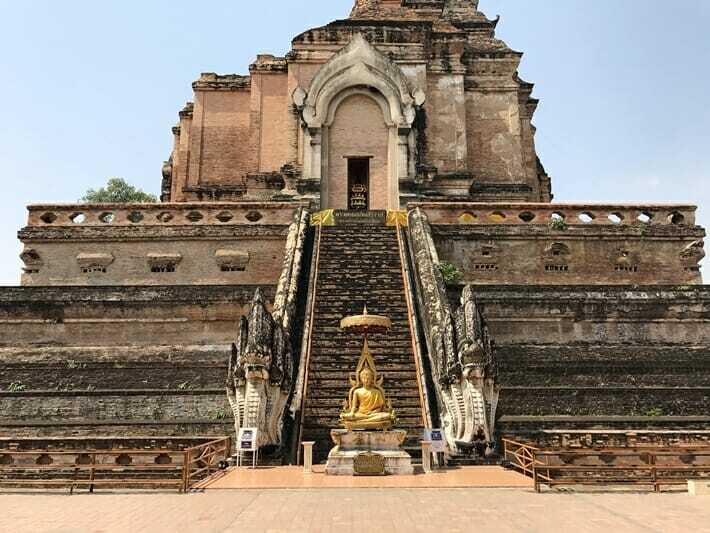 Click here for more sanctuaries, orphanages and parks that you can visit or head on over here for even more Thailand travel guides and tips! This article contains affiliate links. If you choose to book using these links, I will earn a small commission at no extra cost to you. Thank you for supporting my website by using these links, I only recommend products or services that I have personally used & hotels I enjoyed visiting. Thanks, Flo! 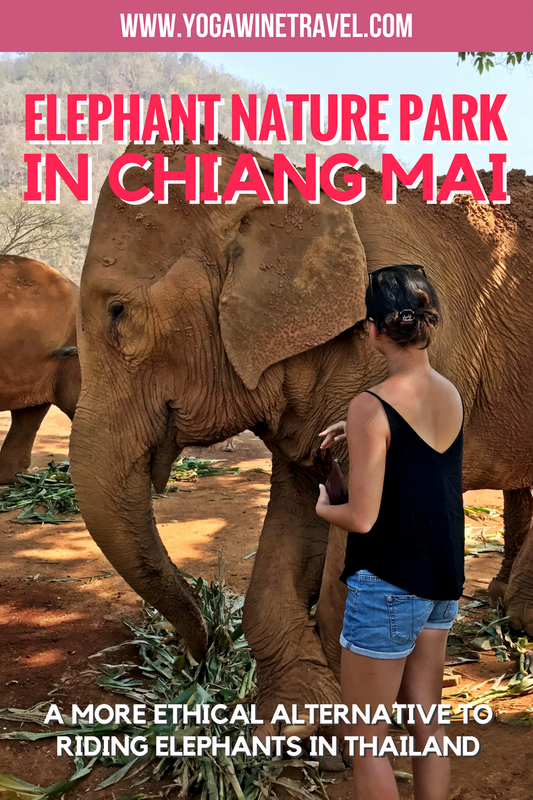 I’m currently planning a long weekend in Chiang Mai in February (after a work trip to Bangkok) and your article helped me decide that the Elephant Nature Park was the best choice for me. I’ll also be visiting alone, so it was nice to hear the perspective of another solo traveler. Have a wonderful time in Chiang Mai, it’s such a wonderful city. Happy holidays and all the best!